This tough brand isn’t just for climbing mountains. It also packs a punch for towing. The four-cylinder model can pull 2,000 pounds, while the optional V6-powered engines bump that up to 4,500 pounds. That 1000 pounds more than the next best guy. Not too shabby. The Jeep Cherokee offers eight trims and multiple engine packages. We’d love to walk you through all these options at Palestine Chrysler Dodge Jeep Ram Fiat. We’re an easy drive from Jacksonville and we’re excited to share our expertise and experience with our neighbors. It’s not all rough and tough with this brand. Jeep understands you need a little TLC after your off-road terrain climbs and heavy towing. The interior of Jeep Cherokee provides quiet, comfort and refinement, along with a roomy rear seat. They also throw in the unexpected comforts like a heated steering wheel option and a rear power gate for loading. Owners really appreciate the big Uconnect 8.4 touch screen option that’s oh-so-user-friendly. Park Assist, Blind Spot Monitoring and Forward Collision Warning with Automatic Emergency Braking. But the LaneSense is particularly cool. This option can read the road and give small tugs on the wheel until you’re back in the right lane. God forbid you should take your hands off the wheel. It’s got an alert app for that. Now, its time for you to feel command of this small SUV for yourself. We want to see you on and off the road in your favorite Jeep Cherokee. 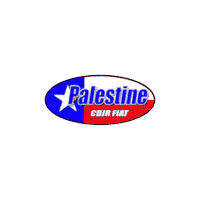 At Palestine Chrysler Dodge Jeep Ram Fiat, we provide the service, selection and total satisfaction you need. And we look forward to helping our neighbors just down the road in Jacksonville.